We love it when our friends play well together! And this production is a collaboration of SO many of our favorite theatre & circus arts companies and people it's bound to be AH-MAZING. Family friendly circus fun opens at Chicago Children's Theatre the first weekend of March and we can't wait to catch this world premiere! ChiIL Mama & the teens will be there on Sunday March 5th, so check back soon for our full review. 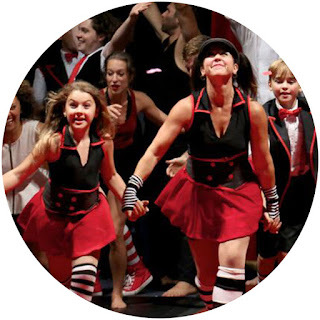 You'll recognize Chicago favorites from Midnight Circus (real life mom & daughter duo, Julie Greenberg and Samantha Jenkins) and Actors Gymnasium (including choreography by Chicago area mom and co-founder of Actors Gymnasium, Sylvia Hernandez-Distasi). The director/co-adaptor is also a Chicago area mom & artistic director at Lookingglass Theatre Company, Heidi Stillman! We're also long time fans of the excellent work of Adrian Danzig (Grandpa) of 500 Clown, House Theatre and more, and Lindsey Noel Whiting (Mom) Lookingglass Alice and Mr. & Mrs. Pennyworth and more. If your child has ever begged to take a year off of school, let them find out what it's like with the world premiere of The Year I Didn't Go to School: A Homemade Circus. Chicago Children's Theatre's all-new, circus arts-infused live production is sure to thrill all ages, February 28-March 19, 2017 at the Ruth Page Center for the Arts, 1016 N. Dearborn St., Chicago. Created by Lookingglass Theatre Artistic Director Heidi Stillman and Caroline Macon, and based on the popular picture book by acclaimed illustrator Giselle Potter, The Year I Didn't Go To School adapts Potter's whimsical autobiographical work into a fantastical stage production for the first time. Stillman also directs CCT's newest world premiere, which is produced in association with The Actors Gymnasium and features choreography by Actor's Gymnasium co-founder Sylvia Hernandez-DiStasi. Working with Stillman and Hernandez-DiStasi to bring Potter's book to life on stage are some of Chicago's most accomplished theater designers, including Rick Sims (composer/sound designer/music director), Dan Ostling (set and lights) and Mara Blumenfeld (costumes). 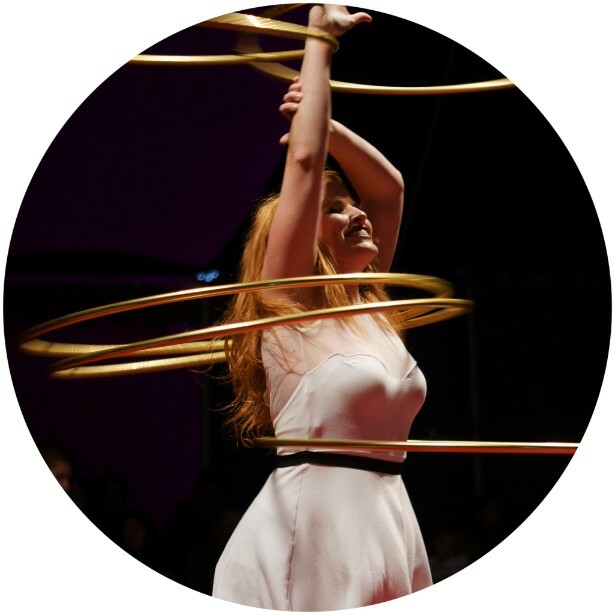 Kids of all ages will love marveling at live circus feats of derring-do combined with Potter's familiar tale of seven-year-old Giselle, who shares the best things that happened to her the year she didn't go to school. Giselle's adventures include traveling Italy by truck with her family's puppet theater troupe, the Mystic Paper Beasts, performing as a monkey, a panda and a lion in an outdoor theater, wearing cowboy boots, speaking Italian ("Ciao!") and eating spaghetti with a fried egg on top. Best of all? She keeps a journal to remember everything that's happening to her and her little sister, Chloë. "The Year I Didn't Go to School was a book that my children and I loved, and we read it again and again," says director Heidi Stillman. "Of course, we could relate as a family of artists that were also constantly making shows. The pictures are so beautiful and charming and I was always intrigued by the performances depicted in the book; they are so clever and odd and gorgeous and I really look forward to staging them." Don't miss The Year I Didn't Go to School: A Homemade Circus, an inspiring glimpse into a beloved children's writer's unusual childhood that no doubt influenced her own development as an artist and author. Performances are February 28-March 19, 2017 at the Ruth Page Center for the Arts, 1016 N. Dearborn St., Chicago. Show times are Tuesdays through Friday at 10 a.m., Saturdays and Sundays at 10:30 a.m. and 12:30 p.m. with two added evening performances, Saturday, March 11 and 18 at 7 p.m. The Year I Didn't Go to School runs one hour and is ideal for all ages. Single tickets are $10-$39. Or, purchase a Family 4-Pack for only $80, for up to 50% savings. For tickets and information, visit chicagochildrenstheatre.org or call (872) 222-9555. The Ruth Page Center for the Arts is convenient to public transportation, surrounded by restaurants and located just steps from the Magnificent Mile. 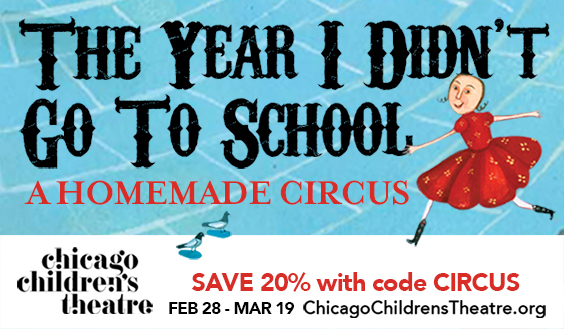 Email GroupSales@chicagochildrenstheatre.org or call (773) 227-0180 x 321 to learn about discounted group rates for schools, playgroups, birthday parties and scouting groups. Saturday, March 18 at 10:30 a.m.; Sunday, March 19 at 10:30 a.m. and 12:30 p.m.
Sunday, March 19 at 10:30 a.m.
Leave it to Chicago Children's Theatre to keep The Year I Didn't Go To School cast all in the family. In life, Samantha Jenkins, cast as the central character Giselle, is the daughter of Julie Greenberg, who plays Grandma. Greenberg happens to be co-founder, along with Samantha's dad, Jeff Jenkins, of Chicago's acclaimed circus arts company The Midnight Circus. The circus arts are strong as well with actor Adrian Danzig (Grandpa), co-founder of Chicago's physical theater company 500 Clowns; Lindsey Noel Whiting (Mom), a Lookingglass Alice veteran performer now starring in the Lookingglass premiere Mr. & Mrs. Pennyworth; and circus artist Aerial Emery, a frequent Midnight Circus performer who also played in the national tour of Pippin the Musical. CCT audiences will recall Matthew Yee (Dad), so memorable as The Mad Hatter in the company's 2015 smash hit musical Wonderland: Alice's Rock and Roll Adventure. Emily Zimmerman alternates with Samantha Jenkins in the role of Giselle. Audrey Edwards and Ava Tommasone alternate as Chloë. Author Giselle Potter's parents and grandparents were all artists so it's not surprising that she became one too. Potter spent a lot of time in her grandfather's studio, where he let her add to his abstract paintings and music. When she was three, her parents started a puppet theater company called "The Mystic Paper Beasts" and she traveled and performed with them throughout the United States and Europe. Her drawings and illustrated journals she made of her travels and experiences with the Beasts inspired her best-selling children's books The Year I Didn't Go To School and Chloe's Birthday...and me. She was a frequent illustrator for The New Yorker, which inspired a chain of work with many magazines and children's books. Her first children's book, Mr. Semolina-Semolinus: A Greek Folktale was published in 1997. She has illustrated more than 25 books since then. Heidi Stillman (director, co-adaptor) is a director, writer, actor, and Ensemble Member of Lookingglass Theatre Company where she has been working on staff in charge of artistic development for the last eleven years. Stillman was previously artistic director (with David Kersnar) from 1997-2000. She most recently directed Death Tax at Lookingglass, and co-created/co-directed Cascabel, in collaboration with Tony Hernandez and Rick Bayless. She has both written and directed for Lookingglass: The North China Lover; Hephaestus, with Tony Hernandez; The Brothers Karamazov (2009 Raven Award); Hard Times (five Jeff Awards including director, new work and production; also produced at Arden Theatre Company in Philadelphia); The Master and Margarita. Additional writing credits with Lookingglass: The Last Act of Lilka Kadison with Nicola Behrman, David Kersnar, Abbie Phillips and Andy White; The Old Curiosity Shop with Laura Eason and Raymond Fox (Jeff Award for adaptation) and The Baron in the Trees with Larry DiStasi. Directing work with Lookingglass includes: Bengal Tiger at the Baghdad Zoo, Trust, The Wooden Breeks and Hillbilly Antigone. Stillman's adaptation of The Book Thief premiered at Steppenwolf Theatre Company in 2012. Caroline Macon (co-adaptor) is a playwright and poet from Dallas. She joined Lookingglass Theatre as New Works Associate in September 2016. Her play, The Women Eat Chocolate, was produced in DePaul's New Playwrights' Series under the direction of Heidi Stillman. Macon has also written for Victory Gardens Theater's college night and for Chicago Children's Theatre. Currently, she is writing a play for the Lawrence Bundschu and Warren Snoddy Endowed Playwriting Prize. She performs in reading series throughout Chicago and her work has been published in [PANK], Crook & Folly, and elsewhere. She is a member of Poems While You Wait, a typewritten poetry-on-demand collective, to support the nonprofit publisher, Rose Metal Press. She is also involved with Curbside Splendor Publishing. She graduated from DePaul University with degrees in Playwriting and English. Sylvia Hernandez-DiStasi (choreographer), recently returned from a successful tour of Lookingglass Alice, is a second-generation circus performer who grew up touring with various circuses, including Ringling Bros and Barnum & Bailey Circus. She also performed at The Circus World Championships in London, England. In 1990 she moved to Chicago and began her career as a circus teacher and choreographer. She is a co-founder of The Actors Gymnasium and an Artistic Associate of Lookingglass Theatre Company. Her credits include The Lyric Opera of Chicago, Chicago Shakespeare Theatre, Chicago Children's Theatre, Marriott Theater and Steppenwolf Theatre, among others. She recently won the Illinois Theatre Association's Award of Honor, the 3Arts award for design and she has been nominated for six Joseph Jefferson Awards for her choreography, winning five. Chicago Children's Theatre's production team for The Year I Didn't Go To School also includes Lavina Jadhwani (casting director), Isaac Schoepp (rigging design) and Emily Breyer (props). Production stage manager is Nikki Blue. 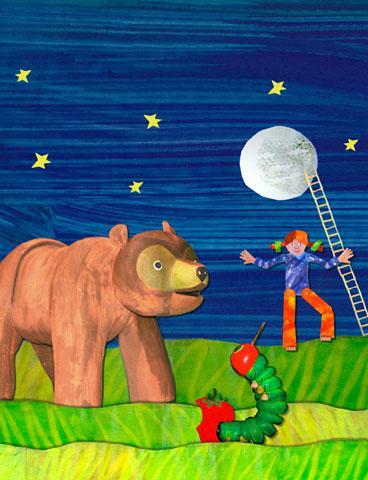 Brown Bear, Brown Bear & Other Treasured Stories by Eric Carle, presented by Mermaid Theatre of Nova Scotia, closes Chicago Children's Theatre's 11th season, May 2-28, 2017 at the Ruth Page Center for the Arts, 1016 N. Dearborn St., Chicago. Single tickets are $10-$39. Or, purchase a Family 4-Pack for only $80. For tickets, visit chicagochildrenstheatre.org or call (872) 222-9555. In addition to presenting its 2016-17 mainstage season at the Ruth Page, CCT has transformed the former 12th District Police Station at 100 S. Racine Avenue in Chicago's West Loop into its first permanent home. 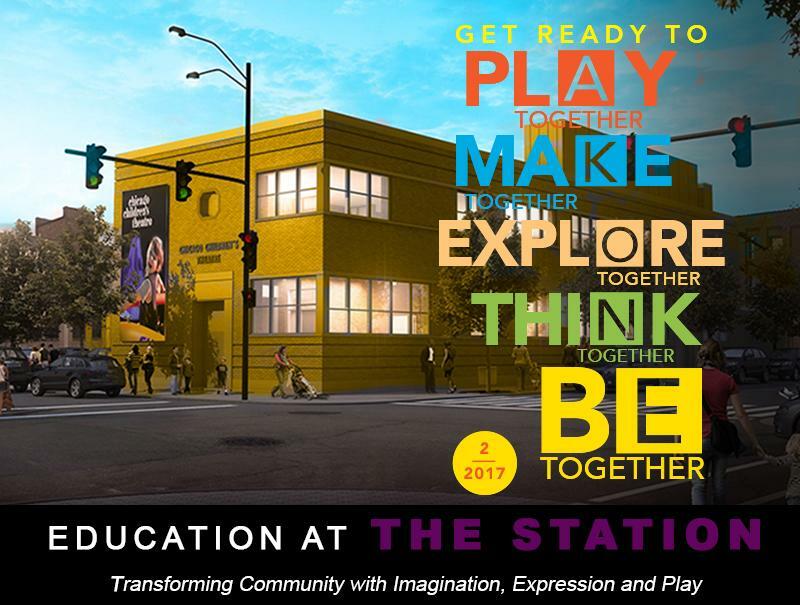 The new Chicago Children's Theatre, The Station, is a beautiful, mixed-use performing arts and education facility designed to serve all Chicago families. The world premiere of The Magic City, an all-ages show created by Chicago's Manual Cinema, is the inaugural production in the building's new 149-seat Pritzker Family Studio Theatre, now through February 19. Following The Magic City is a new staging of Pinocchio with Chicago's Neverbird Project featuring young hearing and Deaf actors in a signed and voice performance. Performances are April 20-May 7. Tickets are $25. Or, purchase a Family 4-Pack for only $80. For tickets, visit chicagochildrenstheatre.org or call (872) 222-9555. 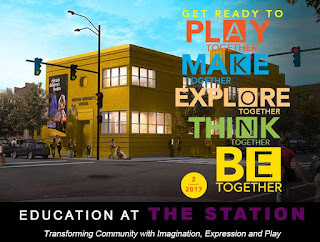 With five brand new classrooms devoted to performing arts instruction, education is at the heart of Chicago Children's Theatre's new home. Registration is now open for a diverse roster of classes and camps for toddlers to teens in theater, storytelling, modern movement, film making, hip hop, craft, aerial circus arts and vocal instruction. Learn more at chicagochildrenstheatre.com/education. The Magic City. These enjoyed highly successful inaugural runs in Chicago, followed by new productions at family theaters across the U.S.